Just a little reminder about changes to bank account details - this report is available from the banking drop down menu "Account Changed Report". This report defaults for the previous month and will highlight any bank account details that have been changed. You can also select you own dates. Whilst December may be the end of the Real Estate Financial Year, the end of June Financial Year is no different to any other Month End processing period. 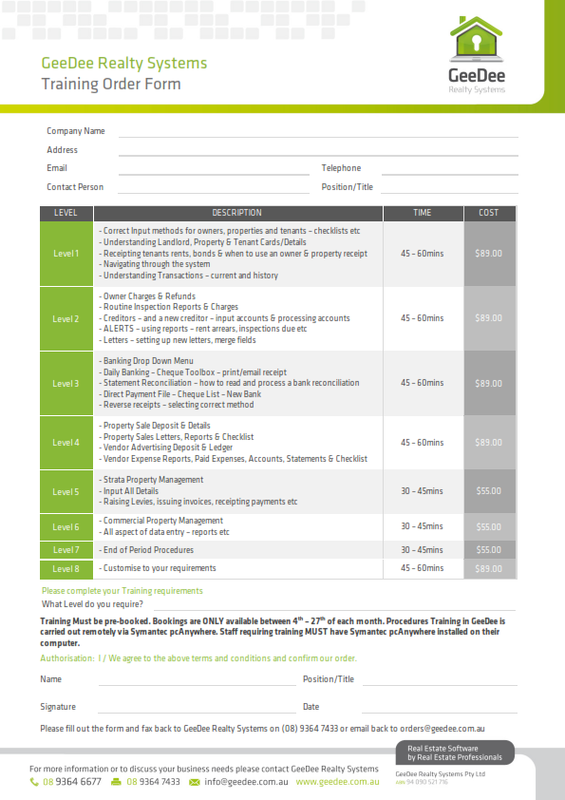 End of June Financial Year is however important for your Lessors. A “Lessor Summary Statement” is the most usual report required and these are easily produced from within the GeeDee system. 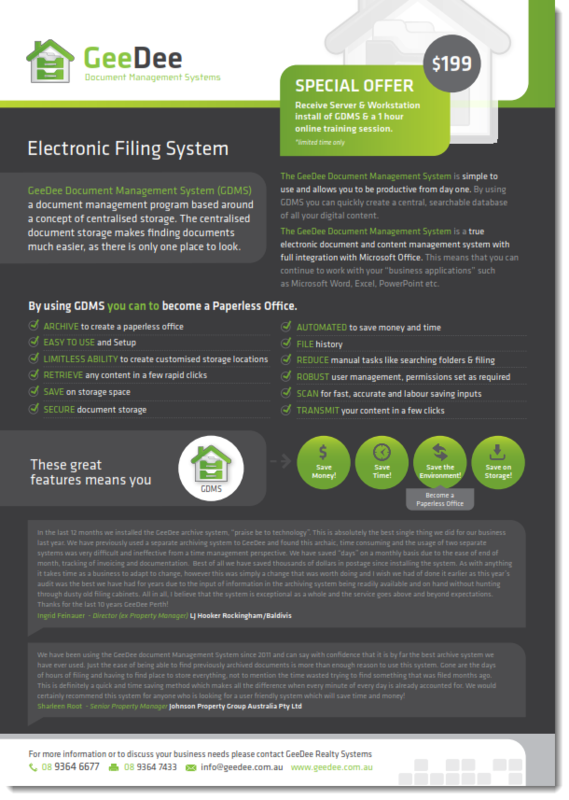 As far as your office is concerned, on the first working day of the new month as usual, the GeeDee system will automatically remind you that you are required to print your Audit Reports. A bank reconciliation must be carried out up to and including the last day of the month. Once the reconciliation has been completed, rolled over and printed, an automatic prompt to print the detailed “Trust Account Trial Balance” will occur. Please note it is also wise to print the Lessor Trial Balance and the Bond Listing. To print go to Trust Account /Drop down/ Trial Balance and print detailed reports. This is what the auditors require. The balance of Account 1 (Trust Bank Account) will be the same as the amount total shown in Account 1 on the bottom of the Bank Reconciliation report. Having the two reports showing identical balances should satisfy any queries you may receive from your auditor. Ensure that the creditor accounts are paid before 30th June. Check to ensure the Lessor has enough funds to pay these accounts. If not, give your Lessor the option to either pay the account themselves or transfer funds to the trust account to pay these accounts. What is a Lessor Summary Statement? A “Lessor Summary Statement” is a report, by Lessor that shows that totals of all income and expenses incurred for each property managed. The statement summarizes the amounts that were received as rent and other funds (income) and how much was spent on repairs, fees and maintenance etc. (expenses). Summary statements can be printed at any time of the year and for any period of time; although they are normally printed after End of Period has been completed for the last month of the financial year. What do I do if I have only been using GeeDee for part of the Financial Year? If you started using GeeDee part way through the financial year, you are still able to print Summary Statements for your Lessors. 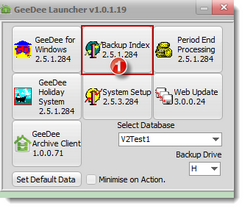 With the statement produced by GeeDee you will need to include a statement from your previous system so that the Lessor will have figures for the whole year. How do I print a Summary Statement for an individual Lessor? From the “Lessor” drop down menu in GeeDee, select “Summary Statement” and then “Select Lessor” and the “Start” and “End” periods required for the statement (for the financial year you should select JULY – JUNE). Once you click “Start” you will be prompted to search for the particular Lessor that you require the statement for. How do I print Summary Statements for all my Lessors? From the “Lessor” drop down menu in GeeDee, select “Summary Statement” and then “Select All Lessors” and the “Start” and “End” periods required for the statement (for the financial year you should select JULY – JUNE). At this point you are able to choose whether you print statements for all Lessor Types or specific Lessor Types such as residential only. What is the difference between Summary & History statements? A Lessor “Summary Statement”, as explained above shows the totals for all income and expenses that occurred during the selected period and is therefore most commonly used as a Financial Year Statement. A Lessor “History Statement” shows all transactions for the selected period but does not show the totals for income and the various expenses. The most common use for a “History Statement” is to reproduce a Lessor statement for a particular period. If your Managing Agency Agreement includes a fee to produce this statement, remember to process a charge for this. This needs to be done individually to each Lessor under charges/refunds.